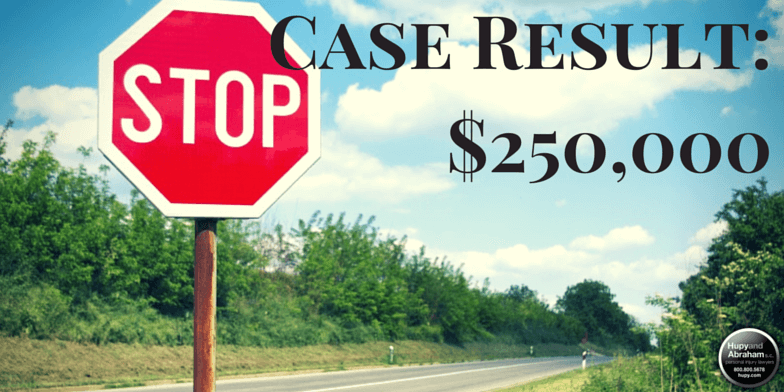 Hupy and Abraham Secure $250,000 After Insurance Denial | Hupy and Abraham, S.C.
Hupy and Abraham’s client was riding his motorcycle in Eldorado, Wisconsin when he came to a complete stop at a stop sign. As he accelerated through the intersection, an oncoming truck didn’t see him and caused a collision, ejecting him from his bike. The insurance company denied the claim, saying our client was driving inattentively and going too fast. Attorney Todd Korb filed a lawsuit and obtained the $250,000 policy limits.